Another week, another changes at the Kapatid Network. 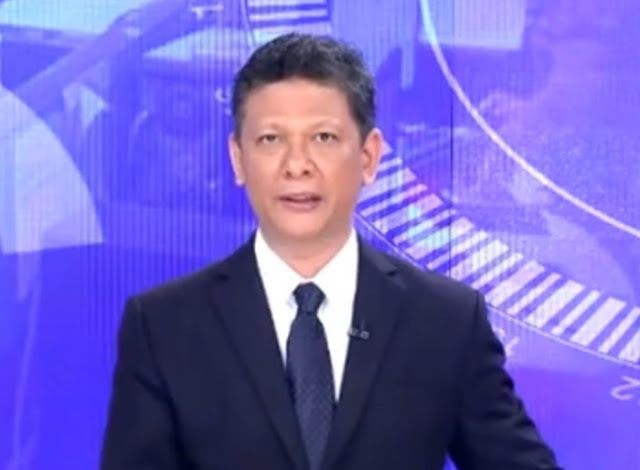 Following the cancellation of its morning news program Aksyon sa Umaga, and the weekend edition of its news bulletin Aksyon Alerts, TV5 has quietly tweaked its late-night newscast Aksyon Tonite. The latest twist: Tonite will now be seen in a condensed 15-minute format. And as evident during Monday night's broadcast, the newscast will no longer have a three-anchor team, with Lia Cruz leaving to pursue other opportunities. Cruz said on Friday that she would be leaving the newscast, which she began co-anchoring in October of last year, writing in an Instagram post: "Tonight was both the last night of Aksyon Tonite as we know it, and my last newscast as part of News5. It's been one hell of a ride these past seven years, a ride that I will always treasure and hold dear. Saan man, kailan man, kapatid. Higit sa balita, Aksyon!" Specifically, according to two people familiar with the changes at the MVP-owned network, Cruz will be joining its newly-revamped sports arm, ESPN5, as an on-air talent. As for Marga Vargas, sources tell Media Newser Philippines that she will be back within this month to resume her post as Tonite's co-anchor.